TS has created an app-based workout program to service clients that are not geographically able to make it to our NYC based studio on a consistent basis. You can even access the program via your phone! Programs are based on goals, equipment available, time and fitness level. Don't get stuck doing those cookie cutter online workouts; our program is built for you. In addition to our app-based program, we also offer virtual video training with our coaches. These 30-minute Skype or Facetime workouts done with your own coach. Email info@tsfitnessnyc.com so we can learn about your goals and tell you more about our remote and digital training programs. "In all my years traveling for work and pleasure, I have never successfully stuck to a workout routine while on the road. I was determined not to lose my fitness gains, earned at TS, during my summer abroad in Europe. I asked Noam to create a realistic plan for me that I could do for 30 minutes a day, 3 times a week, with little to no equipment. He put together a smart, and challenging bodyweight and bands workout that I was able to complete on my terrace three times a week during my month-long stay in Porto, Portugal. The accountability of this travel program was exact what I needed. Noam sent me weekly (and sometimes daily) words of encouragement, which I found incredibly helpful and heartwarming. Ultimately, this travel program allowed me to maintain my fitness, and eliminate guilt for eating out every single meal. It was wonderful to see that I could maintain a piece of my healthy routine from back home while being so far away. I'm very grateful for Noam's attentiveness, dedication, and encouragement throughout. I would certainly invest in this travel plan for my next trip! I wanted to share the positive experience I had with the remote training option offered by TS Fitness on my recent extended trip in Europe. 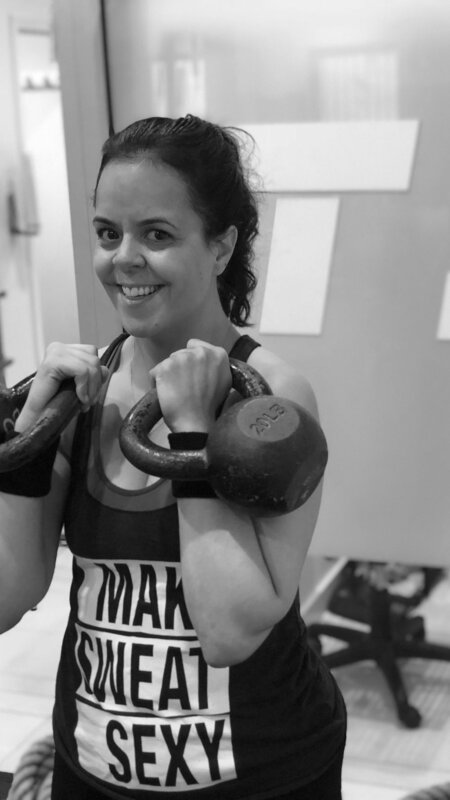 Although initially I was reluctant-- as one of the goals for this time, was to “unplug” (less devices, not more) and it was to be a physically active time regardless – I decided to give it a try and was extremely pleased with the outcome. The total workout time including the warm up is about 30 minutes, which is always easy to carve out. I found the warm up to be so enjoyable, I would flow naturally into the workout portion, and inevitably spend more than the 30 minutes working out! My routine included 2 alternating workouts with just bands and body weight that were designed for me based on my training history with TS. This included injury prevention and specific strengthening goals. It had just enough challenge to be rewarding and plenty of motion-based movements to be extremely satisfying and enjoyable. The workouts, when added to any other of my activities, such as swimming. meant for real physical exertion, right up there with a TS GPT session. I found myself motivated to create a special place and time for my workouts as I travelled (anywhere you can do yoga would work) and in the end, finished the trip with a greater sense of well-being and some very memorable moments!